Holiday House Boutique: Holiday House Boutique Opens This Week--GIVEAWAY!! 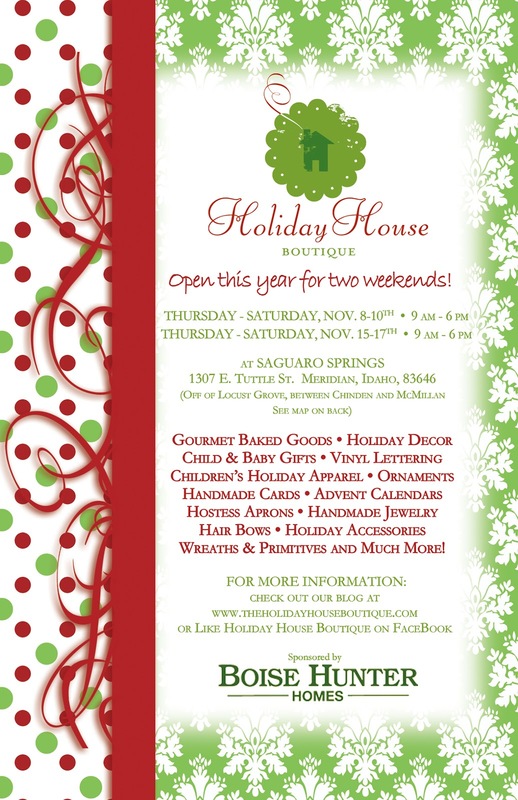 Holiday House Boutique Opens This Week--GIVEAWAY!! simply by sharing our event with family, friends and neighbors. Follow the directions in the Rafflecopter app below to enter, and good luck to all! I have heard about your boutique for awhile, but the first time I visited was just this year. The jewelry was a big hit with me and my daughters! This place for parties and arrangements seems to be really amazing. My best friend wants to hire a budgeted event venue for her daughter's first birthday party. Will suggest her something similar like this. Also looking for some return gifts and packs. Cake design will be princess pink. And other decorations will also be somewhat similar.